Sababay winery hope to be one of the first to initiate the concept of integrated farming that has economic, ecological as well as social cultural values that benefit the local grapes farmers in Bali. As those who follow my posts closely may have realized I have recently been to several New World and New Latitude Wine Regions. I have always had a passion for wine and food, especially since I grew up in the countryside. In a winery, to be precise. In Northeast Spain. When I was a kid produce was always fresh. Now that I live overseas, I realize how important real food is. But in the last year I have taken a liking for the wine region I live in and have started to get more involved into the scene with wine courses, tastings, events and cellar visits. 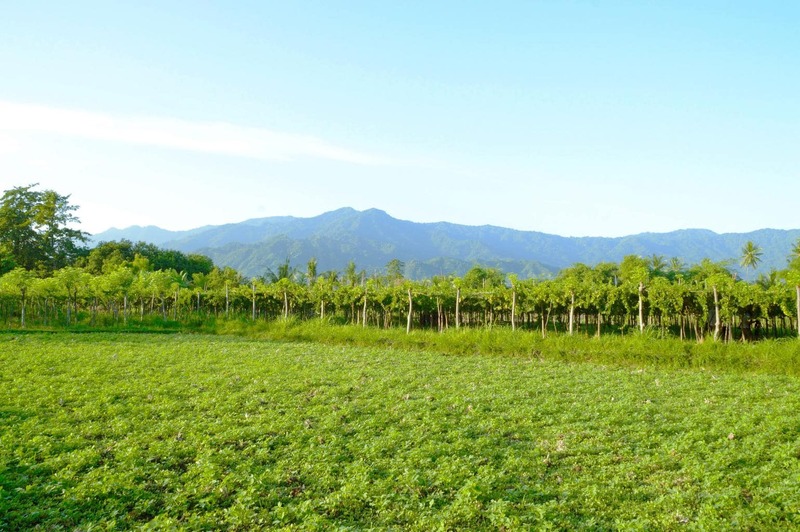 You may be surprised to find out that many Asian countries produce their own wines. There are the relatively developed wine regions in India, Thailand and even Bali and the less advanced inroads that Myanmar or Vietnam are taking. Wine is not usually associated with huge financially solid empires, but with joie de vivre realizations from decidedly city dwellers who take the plunge, move to the countryside and take over a winery. In Indonesia, Sababay has taken a very different and, dare I say, unique approach to wine making: fair trade. Founder and President Mulyati Gozali and her daughter Evy Gozali decided that one of the best ways to help farmers in Bali was to give them an opportunity to grow grapes, sustainably, for a fair price. Instead of the previous 500 Rupiah a kilo they were being paid for table grapes the company pays them 10 times more. Money is not the only benefit the farmers ripe from their collaboration with Sababay, they also get training and support to grow and nurture the vines. It is said that yields have more than doubled since formal training was kicked off under the Asteroid Vineyards cooperative. Three years after the company started producing wines, Sababay has hired an additional winemaker, tasked with researching and expanding the portfolio of vines that are being used, from the traditional sweet table grape varieties to the wine making ones, in order to diversify the portfolio of wines from sweet fruity muscatos to French styles. Nicolas joins veteran Bali winemaker Vincent, awarded with building famous Hatten Wines, the most popular household brand in Bali, already 20 years ago. Vincent believes that the terroir and the conditions in Northern Bali are perfect for growing grapes. This part of the island receives less downpour and the combination of cooler nights and warmer days is conducive to this raw diamond. 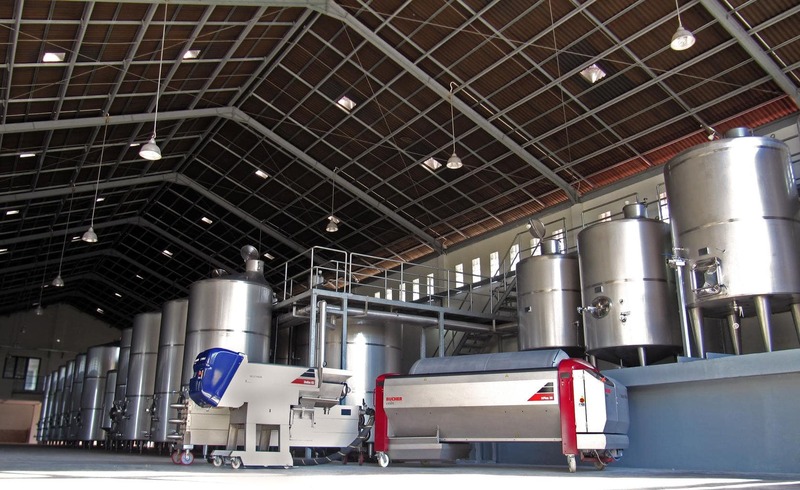 I am surprised by the size of the cellar which can easily accommodate much larger production levels, but it soon becomes apparent that this is because the winery handles 3 harvests a year. Sababay aims at stabilizing production at 2 harvests per year, but that is still twice as much as any other New Latitude Wine region that I have visited. This decision is motivated by the need to provide a reasonable living to the farmers so they get two opportunities a year to sell their produce. No farmer would rely only one one type of agricultural staple to survive. A bad season could mean misery and hunger. Managing two will be an interesting feat. Since their wines are not aged and often the various harvest wines are blended together, the wines are to be drunk young and without any storage after bottling. They are designed to be purchased for immediate drinking. After a personalized tour of the facilities with the usual European-imported equipment, we take a sneak peek into the lab, manned by one of the local Indonesian up-and-coming oenologists. Nicolas takes us upstairs to the office to have a taste of the wines. There is a large bowl with crunchy tapioca fries to accompany the wines. They go wonderfully well with the very sweet, crisp and light wine range. Deep fried and spicy dishes so typical of Indonesian cuisine are perfectly complemented by the wines Sababay produces. I like the whites and even the sparkling wine, although I have never been a sparkling drink person. But I must admit they are very sweet. The rose and the red are a very different type of drink. I am sure they are adapted to the local Indonesian market and are a good match to the spicy and rich food but would be no seller in Europe. 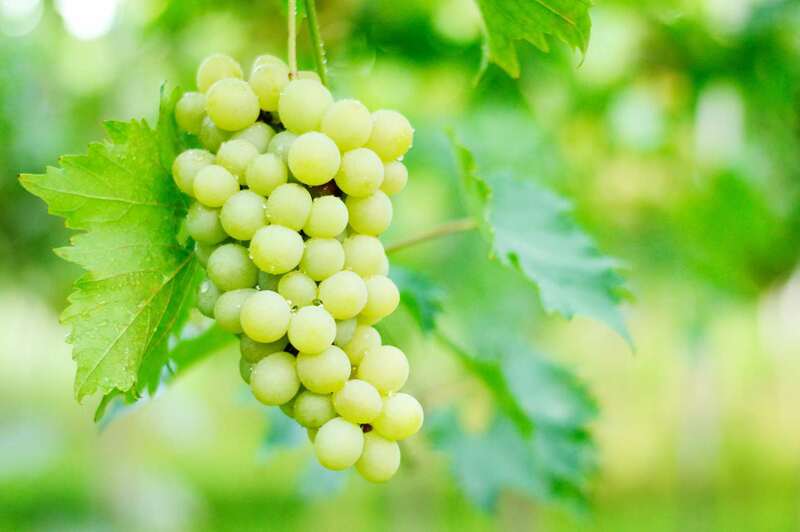 The only two grapes currently being used are very rare table grape varieties: Alphonse Lavallée and Muscat Saint Vallier. 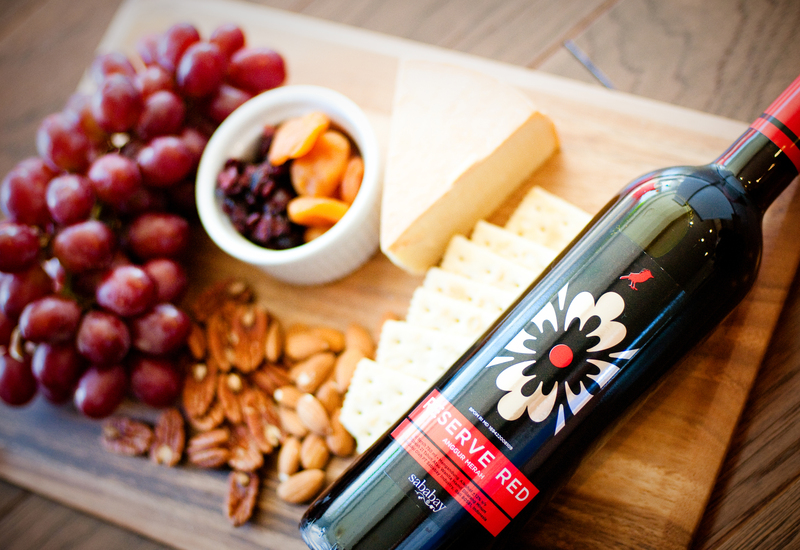 The grapes are made for eating and have a high sugar content and low tannins so both the rose and the red are light in color. Even after maceration, the skins cannot provide the deeper ruby and garnet colors of other varieties. Nicolas will have a busy time adapting international varieties of grapes to the mountainous north, where Sababay’s and Hatten’s vineyards are. He has already started to do R&D trying to find the best grapes to match the climate, the terroir and the local taste. Although I take a liking for the Muscato d’Bali and the drier white, I would not yet enjoy the red and rose. But the reality is that I am not the target market. 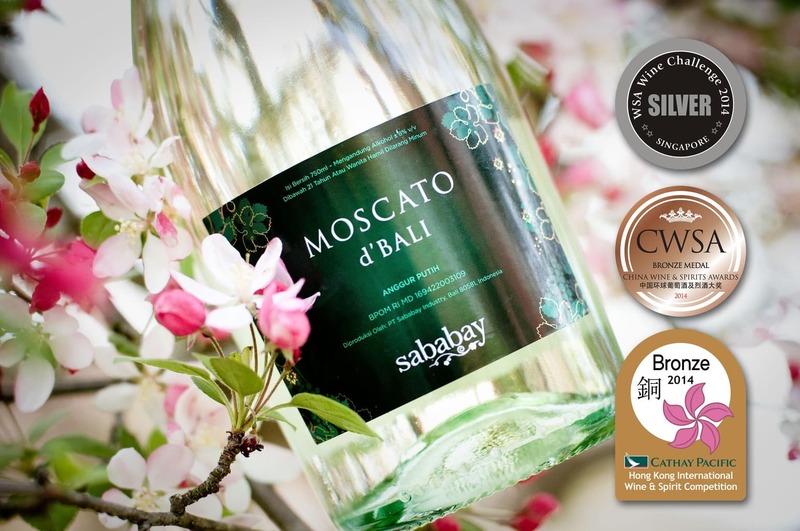 Sababay does not make wines with the objective of achieving international recognition but to provide a respectable living to impoverished farmers in Bali. Mother and daughter prefer to focus on the very large Indonesian market, even if the majority of the population is Muslim and wine drinking is at very incipient levels, than to expand the business to international stardom. Whether they will success or not is dependent on their ability to develop the local palates too. They focus on education and on bringing wines down to an approachable level. And they are lucky enough to play at home. Firstly, imported wines are expensive in Indonesia because of high import duties, thus favoring local production. Other local companies import the grape juice from Australia, ferment it and finalize it locally to avoid the taxes, but Sababay is slowly increasing the number of farmers in the cooperative thus producing wines at local prices, not at high Australian costs. Secondly, aside from the expat market, Sababay’s, and New Latitude Wines in general, are typically sweeter and go well with the local cuisine and palate, unaccustomed to wine and preferring lower alcoholic content and tannins. So if it is the large Indonesian market they are after they will do well to educate consumers and provide the lighter and more approachable wines they are looking for. Lastly, Vincent and the team can leverage the learnings from other new Latitude Wine Regions to find out which vines would better survive and yield the best raw produce. There are several wine regions elsewhere in the latitudes below the 30 degree that have developed a successful business for almost two decades. I applaude their intention to not just set up another business to capitalize on the recent wine making trends and opportunities but to look beyond, with a long-term commitment to the land and the people, to create a fair trade business that can provide sustenance and sustainable living to the many Balinese families that are not fully focused on tourism. I am sure that in a couple of years, when the fruits of the winemaking team come to bearing, the result will be a wine as pleasing to the palate as other Asian brands. In the meantime, cheers to the Muscato d’Bali wines, they are an excellent summer drink!